“Build it and they will come” is a great line from one of my favorite movies (Field of Dreams), but it’s one of the most pervasive myths regarding websites. That said, registering a website with search engines has changed a lot over the years. When the first search engines came online in the 90s, they could more accurately be described as online directories. Websites weren’t automatically included in these directories, someone had to fill out a form to get a directory listing. That began to change as Google rose in popularity. Instead of relying on website owners to register their sites, Google started using software called search bots, to proactively find new web pages and automatically create search listings. Because this method made Google’s search results more accurate, update to date, and expansive, other search engines like Yahoo, Ask, and Bing switched to using search bots as well. 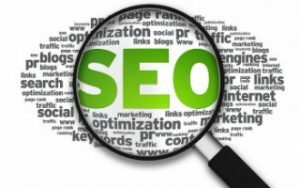 As a result, it became more and more likely that the major search engines would find a new site on their own, and so over time most people stopped filling out the search registration forms. At that time, may “search engine experts” began saying search registration was no longer necessary. However, we at OurChurch.Com continued to advocated manual search registration just to be safe. After all, what could be worse than a major search engine overlooking your website. Why not spend a few minutes to make sure its listed. Plus there have always been (and continue to be) many Christian-specific and church-specific search engines that don’t have search bots and require manual registration. At the end of the 2000’s another new technology began to change how search engines get their information – smart phones. With more people using smart phones to find churches, schools and local businesses, search engines began creating new local search engines that contained new information including hours of operation, address, phone number and a photo. Sometimes the local search engines get this information correct on their own, but frequently I’ve seen businesses with the wrong phone number, churches appearing in the wrong location on maps and local nonprofits not appearing in the local listings at all. So, once again it’s become very important to manually supply search engines with the correct information. All local search engines have a process for claiming and correcting local listings. Of course, you can do all this work yourself or you can have a search marketing professional do it for you, but definitely make sure it gets done. How important do you think it is to claim and correct local search listings? Have you claimed and corrected the local search listings for your organization? Why or why not?